Brand new, full of character penthouse. Stunning fully-furnished two-bedroom, two-bathroom penthouse apartment at the newly launched The Lightwell development in the highly sought after Colmore Business District at the very heart of Birmingham’s City Core benefits high quality, contemporary fixtures, fittings and finishes throughout. The Lightwell’s rare central location provides the best access to a heady mix of art galleries, shopping, comedy houses, gyms, eateries and global business hubs. For a truly unique and authentic experience, head to The Electric Cinema – the UK’s oldest picturehouse, or if artisan patisserie served with a side of art is more your thing, take a short stroll to Medicine Bakery + Kitchen to sample their cruffins or croughnuts! The Lightwell is just an 8 min walk to Birmingham New Street and a 4 min walk to Snow Hill Station – the location of this apartment is quite perfect – well served by trains, buses and the metro, connecting you to the rest of Birmingham and beyond. Tenancies at this property will be fully-managed by FleetMilne. Contact us today to arrange your viewing. 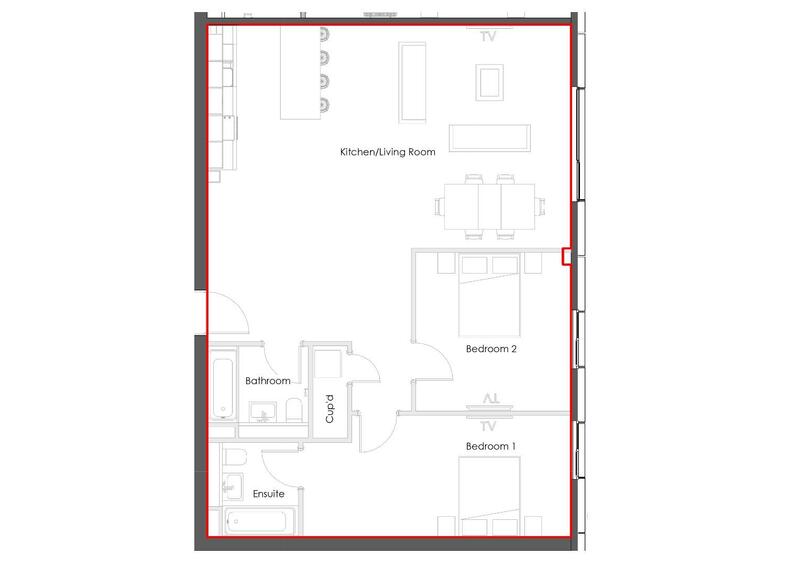 Please note, the images shown feature the sample apartment at the development and may not represent the exact apartment.